"Never stops being awesome." 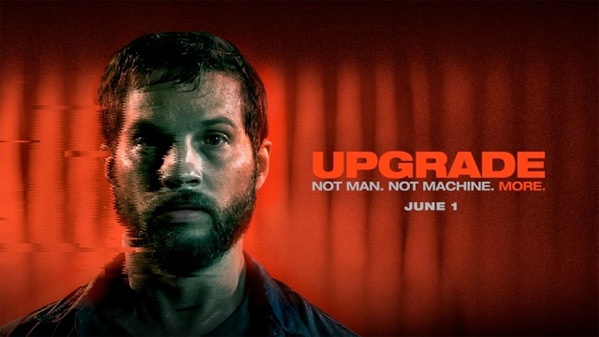 BH Tilt has debuted a second official red band trailer for the sci-fi action film Upgrade, the latest film from Australian filmmaker Leigh Whannell, co-creator of Saw and Insidious. This has been described as a "thrilling and hyper violent vision of the future" and it looks totally badass, these trailers are the best way to get people excited for this film. Set in the near-future, technology controls nearly all aspects of life. But when Grey, a self-identified technophobe, has his world turned upside down, his only hope for revenge is an experimental computer chip implant called Stem. Logan Marshall-Green stars, along with Betty Gabriel, Michael M. Foster, Harrison Gilbertson, and Benedict Hardie. I really can't wait to see this! I've been hearing nothing but good things, and it looks like a brutally good time. You can still watch the first red bad trailer for Whannell's Upgrade here, to see more footage from this.